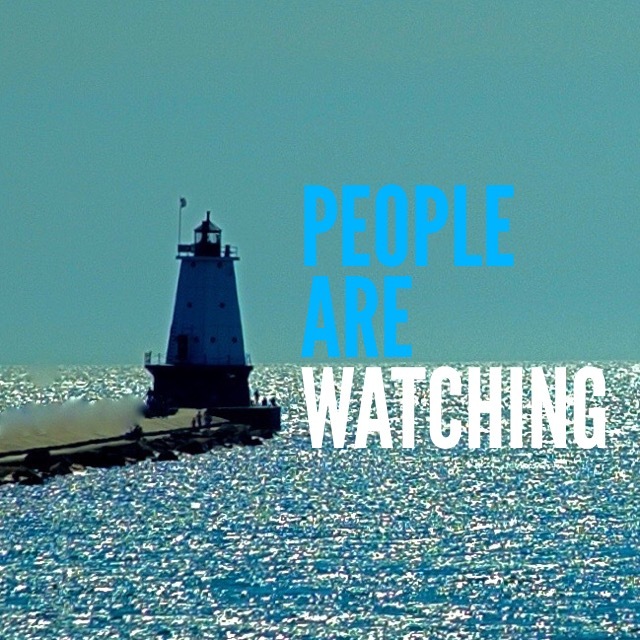 “…they watched Him closely… (Luke 14:1). The skeptics were always watching Jesus. As with our Master, so with us. They wanted to find an inconsistency with which they could discount all that Jesus stood for. Thankfully, they found none! May the same be said of you and me. May our lives and speech (or silence) never cause skeptics to discount the Gospel or—even worse—blaspheme God, nor may our lives cause a weak Christian to doubt or stumble. Self-awareness … I have to know my tendencies and avoid those things that cause offense. Boldness … to speak the truth in love. 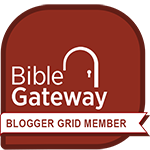 Knowledge of the Scripture … and its correct application. God-confidence … so that we’re not intimidated by man’s disapproval. Humility … to not seek things for our own benefit. Charity … as we demonstrate our faith in loving action. 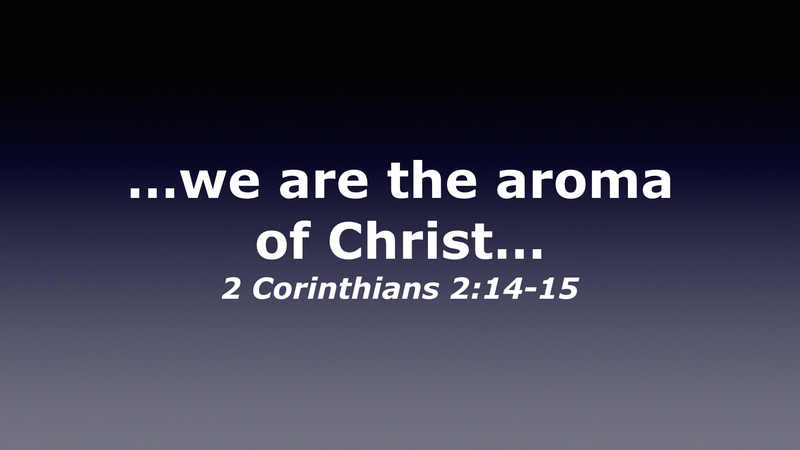 Focus … on eternity and on the greater treasure in Heaven. Holy Spirit, empower us to live like our Master every day. “Adam’s likeness now efface, stamp Thine image in its place.” May people see and hear Jesus in us. No matter how closely they watch us, may they see no inconsistencies. This is a fantastic study guide from Lee Strobel and Mark Mittelberg. It was originally published with the title Today’s Moment Of Truth. Most Christians will tell you they love God “with all my heart.” That’s a good start, but according to Jesus, there needs to be more. Jesus told us to love God with all our heart, soul, mind, and strength. 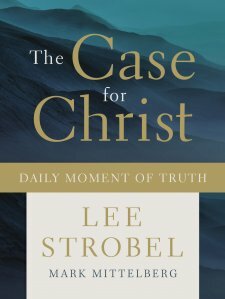 It’s especially these last two areas that concerned Strobel and Mittelberg enough to put together a wonderful book: The Case For Christ Daily Moment Of Truth. Strobel and Mittelberg were concerned (and rightly so) that Christians were engaging their heart and soul in their Christian witness, but not developing their mind and strength to the same extent. As a result, when someone challenges them to explain why they believe what they believe, many Christians struggle to answer convincingly. Lee Strobel and Mark Mittelberg are both top-notch Christian apologists. They don’t just present solid evidence for the Christian faith, but they do so in a winsome, inoffensive way. And through 180 different lessons, they train all who read The Case For Christ Daily Moment Of Truth to do the same. Each day you will read a quote from a notable atheist or Christian skeptic, and then be trained in solid apologetics to refute their claims. You will be given Scripture verses, proofs from all disciplines of science, and some good old-fashioned common sense. This book will expand your spiritual muscles and your mental muscles. Each day’s reading will only take a couple of minutes, but you will be well-prepared for any challenges to your faith. A must-read for all Christians! Resurrected From The Dead?! Really? 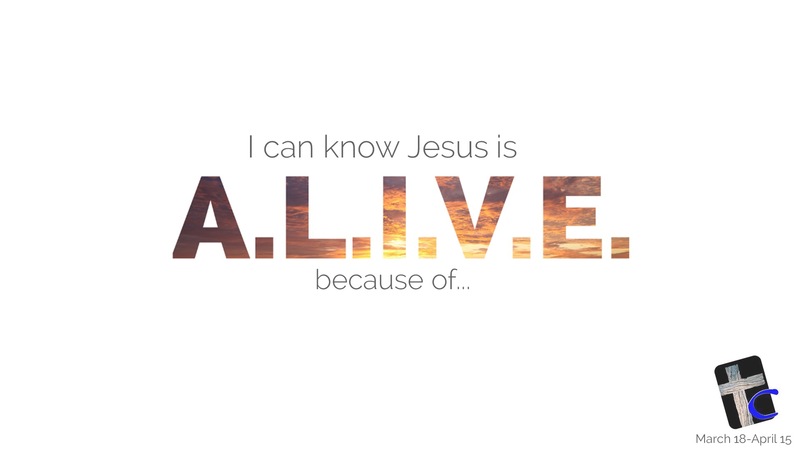 It is the foundational claim of Christianity: Christ died on a Cross and was raised back to life. It is also the claim many skeptics of Christianity find so difficult to process. These messages are specifically designed for those skeptical of the claims of Christianity. The evidence won’t be a bunch of “churchy” platitudes, but court-room-level evidence that will attempt to make the case for what Christians believe about the death and resurrection of Jesus. If you fall into that skeptical group, I would be honored to have you join me either in person at our church or on Facebook Live at 10:30am for the next five Sundays (March 18-April 15). I’m excited to present this evidence and I am looking forward to interacting with you! How Should Christians Handle Objections? It’s no secret that when a Christian says, “This is what I believe,” or “This is what the Bible says,” or even something as simple as, “I believe in God,” that there will be people who disagree. Sometimes their disagreement may even become an outright attack. How are Christians to respond? 1. Don’t argue. Arguments tend to create an “I don’t want to lose” feeling in the other person, which makes them unable to truly hear what you’re saying. Solomon wrote, “Do not answer a fool according to his folly, or you will be like him yourself” (Proverbs 26:4). 2. Ask questions. Jesus was a master at this. Look through the Gospels and you will see Jesus asking questions to clarify others’ positions. Questions stimulate further conversation, while statements tend to shut down the conversation. Questions develop a relationship, while definitive statements make you seem superior to the other person. 3. Don’t argue. Yes, this is good enough to repeat! Paul’s advice to Timothy was, “Do not waste time arguing over godless ideas and old wives’ tales” (1 Timothy 4:7). 4. Pray for mercy. Remember that if you are really speaking truths from the Bible, the person arguing against those truths is arguing with God, not with you. 5. Pray for light. Paul said that the “god of this age” has blinded people (see 2 Corinthians 4:2-4), so we should pray that the Holy Spirit would grant them light to see the truth. Let’s be passionate for people, not passionate to win an argument! 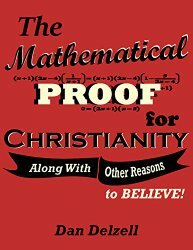 Dan Delzell wrote a very thought-provoking book—The Mathematical Proof For Christianity—which gives skeptics a lot of evidence to contemplate. As I said in my review of this book (which you can read here), this is a good book for Christians to read with a skeptic as a great conversation-starter about the Christian faith. Which religion was started by a prophet who never did anything wrong? Which religion produces scores of people who speak out against injustice and work hard to correct it? Which religion fulfills hundreds of prophecies that were written down hundreds of years before the prophet fulfilled them? Which religion produces followers who have established thousands of hospitals, orphanages, and homeless shelters? Which religion, when practiced correctly, empowers followers to turn the other cheek when being mistreated? Which religion began with a leader who died, but then came back to life? Which religion, when practiced correctly, produces followers who do not judge others or look down on them? Which religion produces a tender love for God in heaven, rather than lingering fear and trepidation? Which religion do people turn to in tough times and when disaster strikes? Which religion has done the most to advance the rights of women? Which religion details historic events that are supported by plenty of archeological evidence? Which religion is based upon documents that are better preserved and more numerous than any other ancient writings? Which religion began with a prophet who is loved and even worshipped by millions of followers? Which religion has been around for thousands of years and continues to expand around the world? Which religion teaches that eternal life in paradise is a free gift through faith in its prophet? Which religion has millions of followers who experience tremendous peace as a result of their prophet? Which religion, when practiced correctly, produces followers who are quick to forgive rather than to seek vengeance? Which religion offers the forgiveness of sins based solely on the goodness and sacrifice of the prophet? Which religion, when practiced correctly, produces genuine humility before God and man? Which religion teaches that you cannot earn your way to heaven? Which religion produces men and women of justice who speak out when others are committing atrocities? Which religion, when practiced correctly, lines up with the humble and compassionate attributes of the prophet? Which religion seeks to bring help to the hurting, comfort to the sorrowful, and encouragement to the downcast? Which religion, when practiced correctly, produces genuine love, joy, peace, and patience? Which religion requires divine revelation in order to understand it? Which religion rules not by force, but by love, as demonstrated by the prophet? Which religion has produced the most freedom of religion in the world? Which religion turns man’s body into a temple where the Spirit of God comes to reside? Which religion, when practiced correctly, has done the most to advance the rights of minorities? Which religion gives followers the grace to say ‘no’ to ungodly passions? Which religion produces people who long to improve the lives of those from other religions? Which religion cares as much for the unborn and elderly as it done for the youthful and strong? Which religion has done more than any other to help turn communities into places of freedom and safety for all? Which religion provides a personal assurance of salvation based solely on the sacrifice of the prophet? Which religion has a prophet whose name is used by many as a curse word? Which religion, when practiced correctly, produces followers who focus on their own sins rather than the sins of others? Which religion can turn a terrorist into a loving peacemaker? Which religion teaches that your works become ‘good’ in God’s eyes only after you accept the prophet through faith? Which religion will you wish you had followed on Judgment Day? To read some of the other quotes I shared from this book, please click here. [VIDEO] John Maxwell has some good insight on dealing with skeptics, even if the skeptic is you! “The begging in ministries today is a result of men doing good things without being sent by God’s voice. Their own desires are being mistaken for God’s bidding.” David Wilkerson shred 4 ways to know you are correctly hearing the voice of God. “Are you a Christian? Then there’s something dreadfully wrong with you. You’re unthinking; you’re unscientific; you can’t see how badly Christianity botches morality. You represent a deeply defective culture that’s been getting all the most important things wrong for a hundred generations.” Read more from Tom Gilson in Skeptics Dehumanizing Christianity. Important news for pregnant women: Take care of your teeth. “The results reinforce data suggesting a link between periodontal disease in the mother and the risk of preterm birth.” Read more in Bacteria Found In Healthy Placentas. “Many contemporary critics of the faith charge that Christianity is a barrier to progress. … But the overwhelming weight of good is undeniable—and indispensable to civilization.” Read more in The ABCs Of Christian Civilization.